If you are looking for premier lodging in Door County, your search ends with Ephraim Shores Resort and Restaurant. Located on beautiful Eagle Harbor overlooking Door County’s most scenic village, this full-service destination has everything you need to unwind after a full day of partaking in everything Door County has to offer. Amenities abound at Ephraim Shores. No need to neglect your workout just because you are on vacation. The resort’s exercise room boasts state-of-the-art fitness machines while the indoor swimming pool and whirlpool, great places to unwind after a long day, beckon regardless of the weather. If you prefer to take your workout outdoors, enjoy a run or walk in one of the most scenic locations in the state. The resort also makes bikes available for guests who want to tour the area on two wheels. Ephraim Shores offers a variety of rooms at various price points for each budget. The North Wing Harbor, with spectacular views of Eagle Harbor, is rightfully one of the resort’s most popular rooms. 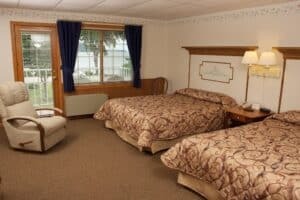 But do not discount rooms in the South Wing, some of which offer dinettes and smaller sitting areas for families or groups, as well as second floor rooms overlooking the water featuring queen-size beds and private balconies to enjoy stunning Door County sunsets. In need of the space a suite offers? Choose from the 1- or 2-bedroom options that feature kitchens and plenty of room for extended family and guests. Other amenities include wireless Internet access, the Second Story Restaurant, laundry facilities and much more. 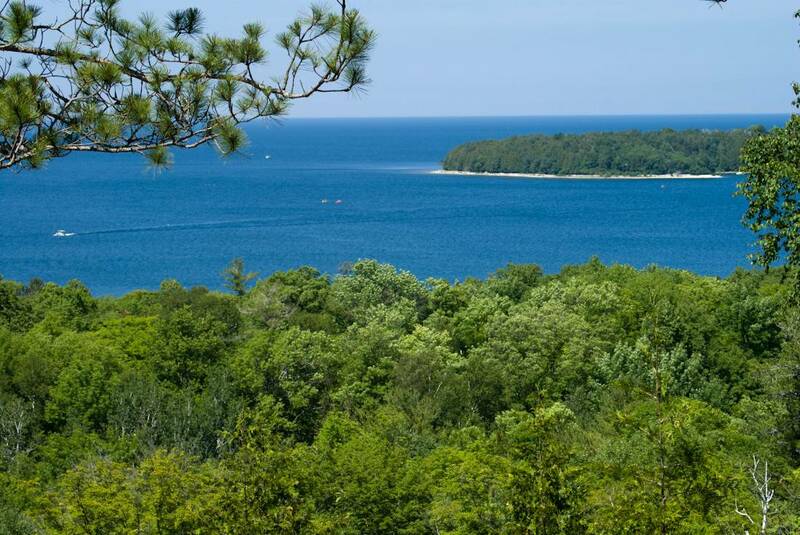 Of course, many visitors want to experience all the state parks in Door County and when you stay at Ephraim Shores you are never far away from the natural splendor the area has to offer. This Door County waterfront resort is close to Peninsula State Park, which features 8 miles of beautiful Door County shoreline. Open year-round from 6 a.m. to 11 p.m., enjoy hiking, biking, boating, golf and swimming spring, summer and fall. In winter, enjoy cross country skiing, snowshoeing, sledding and snowmobiling. Camping, nature programs, and sightseeing are offered year-round. Ephraim Shores Resort and Restaurant offers the best lodging in Door County close to state parks in Door County. Book a room by calling 920-854-2371, 877-854-2371, or by email at [email protected].